The cold weather is tough on a garage door. The garage door can be very sensitive to the cold weather. The cold and freezing temperatures tend to worsen any issues you are having with the garage door or motor. It is always best to keep your door properly balanced and lubricated especially in the winter time. 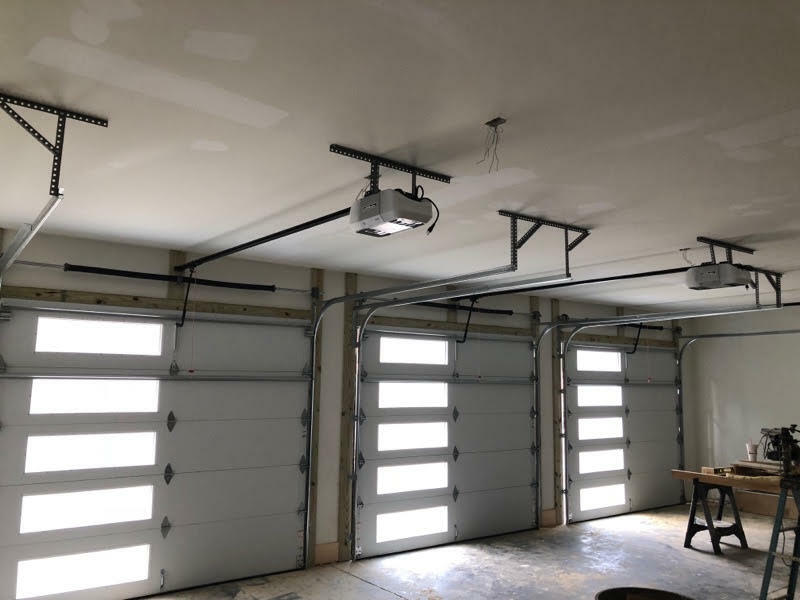 These are a few typical garage door repairs that we see a lot of once it begins to freeze. The torsion springs are the hardest working part on the garage door. They are under hundreds of pounds of tension and can break quicker than they normally do during the cold freezes. It is a good idea to keep them lubricated usually several times a year. There is nothing you can do to prevent a spring from breaking but lubrication is key in helping to prevent friction. Inside the operator are gears that need to be lubricated. The gear’s lubrication can freeze during the extremely cold winter months resulting in the teeth of the gear stripping out. The operator will not lift the door if the gear is stripped out and will just produce a humming sound. Depending on the age of the opener we can usually replace the gears, or sometimes you are better off, if the opener is older, putting that money towards a new unit. The bottom rubber and vinyl trim seals get hard, crack and don’t seal well. The bottom rubber can actually freeze to the ground with snow in freezing temperatures and can rip of when the door is opened, it may also rip off the retainer as well. Next week in Raleigh – Durham it is going to be some of the coldest nights of the year so far. We offer free onsite estimates for any of you who start to have problems, whether it’s in Raleigh, Wilmington, Durham, or surrounding areas. If you are experiencing any issues with your garage door and motor please give us a call at 919-388-9320.